He carried a black briefcase to his 10th-grade honors English class, and sat near the door so he could readily slip in and out. When called upon, he was intelligent, but nervous and fidgety, spitting his words out, as if having to speak up were painful. Pale, tall and scrawny, Adam Lanza walked through high school in Newtown, Conn., with his hands glued to his sides, the pens in the pocket of his short-sleeve, button-down shirts among the few things that his classmates recalled about him. He did all he could to avoid attention, it seemed. The authorities said Mr. Lanza, 20, wearing combat gear, carried out one of the deadliest mass shootings in the nation’s history. He killed 20 children and six adults at the elementary school where his mother worked, they said. He then apparently turned his gun on himself. The police said he also earlier killed his mother. In his brief adulthood, Mr. Lanza had left few footprints, electronic or otherwise. He apparently had no Facebook page, unlike his older brother, Ryan, a Hoboken, N.J., resident who for several hours on Friday was misidentified in news reports as the perpetrator of the massacre. Adam Lanza did not even appear in his high school yearbook, that of the class of 2010. His spot on the page said, “Camera shy.” Others who graduated that year said they did not believe he had finished school. Matt Baier, now a junior at the University of Connecticut, and other high school classmates recalled how deeply uncomfortable Mr. Lanza was in social situations. Several said in separate interviews that it was their understanding that he had a developmental disorder. They said they had been told that the disorder was Asperger syndrome, which is considered to be a high functioning form of autism. Others said Mr. Lanza’s evident discomfort prompted giggles from those who did not understand him. Law enforcement officials said Friday that they were closely examining whether Mr. Lanza had such a disorder. More here. Indeed, there is a statistical predisposition, at least anecdotally, for those with Asperger's toward both murder and violence. In other words, watch as the debate rages over the traditional bogeyman of gun control, in a country with over three hundred million weapons, when we may well simply be talking about a mentally ill young adult. Israel raids Palestinian NGO officesKatie Colaneri, a 24-year-old resident of Hoboken, N.J., described herself as a friend of Ryan, the suspect’s brother who for hours Friday was incorrectly identified as the alleged gunman. “He [is] a little shy, but very nice and sweet,” said Ms. Colaneri, who has known Ryan for over a year. She said Ryan is a gentle guy who was devoted to his job at the Ernst & Young accounting firm. A representative for Ernst & Young would not comment on his employment status. A law-enforcement official briefed on the investigation told the Associated Press that Ryan has been “extremely co-operative” and is not under arrest, although he was still being question late Friday. The official said Ryan’s computers and phone records were being searched but only “in an abundance of caution.” Ryan told authorities he had not been in touch with his brother Adam in recent years, and the official said he isn’t believed to have any connection to the school killings. In Hoboken, Ryan lives in a newer building that was hard-hit by superstorm Sandy, Ms. Colaneri said. He lost power for a number of days following the storm. Update 3: ABC has released a picture of the real shooter, Adam Lanza, taken in 2005 when he was ~13 years old. According to the second official, the suspect drove to the scene of the shootings in his mother's car. Three guns were found at the scene — a Glock and a Sig Sauer, both pistols — and a .223-caliber rifle. The rifle was recovered from the back of a car at the school. The two pistols were recovered from inside the school. Update: According to CNN the shooter's name is Ryan Lanza, out of New Jersey. Based on a White Pages reverse lookup there is an 18-24 year old Ryan Lanza living in Hoboken, NJ whose FaceBook profile lists Newtown, CT as his home city. Whether it is the same person remains to be confirmed officially. Sadly, increasingly it appears that not a day, and certainly not a week can pass, in the US without news of some mass killing somewhere. Several days ago its was a mall in Oregon, and today it is a shooting rampage at the Sandy Hook Elementary school in Newtown, Connecticut. 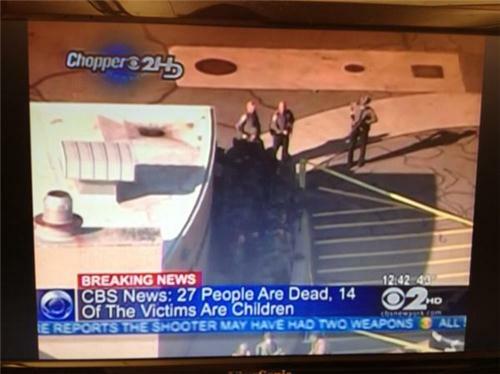 Here is what is known: the shooter, who CBS reports is a 20 year old from New Jersey, is reported to be dead. A second shooting suspect, a 24 year old man with a bulletproof vest and 4 guns has been apprehended in custody (this has subsequently been not confirmed). 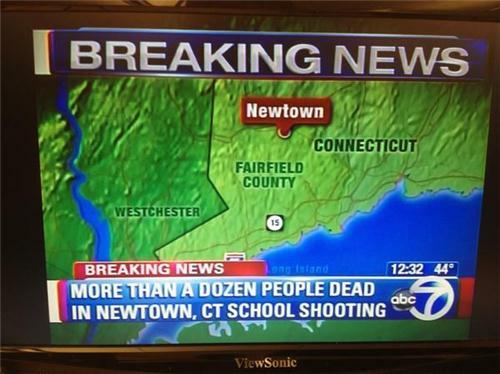 According to CBS 27 people are dead, of whom 18, Connecticut Post 27 people are dead, of whom 20 tragically, children. Among the dead are the principal and the school psychologist. The AP has already dubbed it "the worst school tragedy in American history." Live streaming updates on everything Newtown related can be found on the Reuters website here. 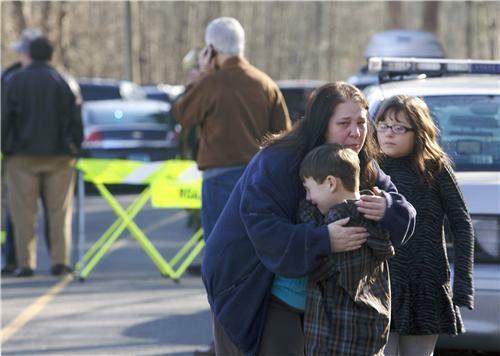 At least 27 people, including 18 children, were killed on Friday when at least one shooter opened fire at an elementary school in Newtown, Connecticut, CBS News reported, citing unnamed officials. If confirmed, it would be one of the worst mass shootings in U.S. history. The holiday season tragedy follows a series of shooting rampages in the United States this year that have killed multiple victims, and it was certain to revive a debate about U.S. gun laws. The principal and school psychologist were among the dead, CNN said. Witnesses reported hearing dozens of shots with some saying as many as 100 were fired. The suspected shooter, 24, was armed with four weapons and wearing a bullet-proof vest, WABC reported. There were unconfirmed reports of a second shooter. Another person was being held in police custody after he was detained in the woods near the school wearing camouflage pants, CBS reported. "It was horrendous," said parent Brenda Lebinski, who rushed to the school where her daughter is in the third grade. "Everyone was in hysterics - parents, students. There were kids coming out of the school bloodied. I don't know if they were shot, but they were bloodied." Television images showed police and ambulances at the scene, and parents rushing toward the school. Parents were seen reuniting with their children and taking them home. "This is going to be bad," a state official told Reuters, requesting anonymity because the scope of the tragedy remained uncertain. President Barack Obama was notified and would receive regular updates throughout the day, White House spokesman Jay Carney said. "We're still waiting for more information about the incident in Connecticut," Carney said when asked about the president's reaction to it. Carney called the event "tragic" and said there would be time later for a discussion of policy implications. Obama remains committed to trying to renew a ban on assault weapons, Carney said. 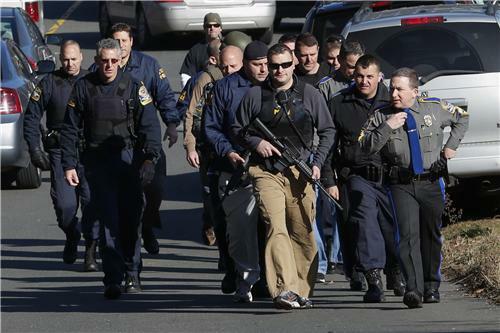 All Newtown schools were placed in lockdown after the shooting, the Newtown Public School District said. Lebinski said a mother who was at the school during the shooting told her a "masked man" entered the principal's office and may have shot the principal. Lebinski, who is friends with the mother who was at the school, said the principal was "severely injured." Lebinski's daughter's teacher "immediately locked the door to the classroom and put all the kids in the corner of the room." Danbury Hospital, about 11 miles (18 km) west of the school, had received three patients from the scene, a hospital spokeswoman told NBC Connecticut. The mayor of Danbury, Mark Boughton, told MSNBC: "They are very serious injuries." A shooting at a Connecticut elementary school Friday left several children and the gunman dead, law enforcement sources tell CBS News. At least one teacher was wounded in the shooting that sent frightened pupils into the parking lot. It is unclear if there was more than one gunman at the school. Law enforcement sources told CBS News senior correspondent John Miller that preliminary and unconfirmed information indicates that the shooter was the father of a student. The shooter was killed and apparently had two guns, a person with knowledge of the shooting told The Associated Press. The person spoke on condition of anonymity because the investigation was still under way. 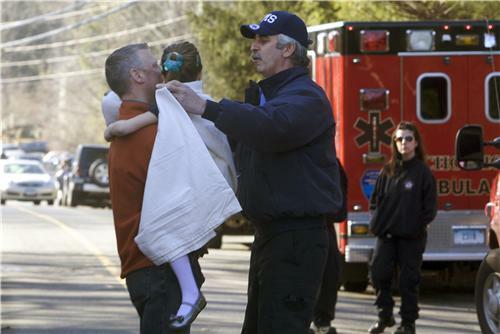 It wasn't clear how many people were injured at Sandy Hook Elementary School in Newtown. CBS Hartford affiliate WFSB-TV reports around 600 students attend the school. Connecticut State Police spokesman Lt. Paul Vance described the situation to CBS New York station WCBS-AM as a "very serious school shooting." 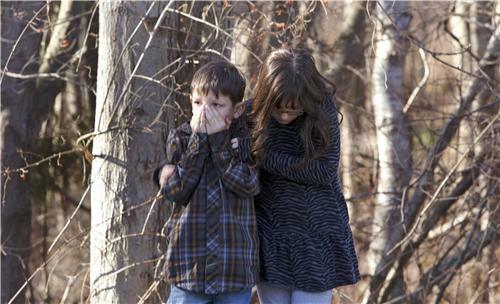 Lisa Bailey, a Newtown resident with three children in Newtown schools, told CBSNewYork.com, "Newtown is a quiet town. I'd never expect this to happen here. It's so scary. Your kids are not safe anywhere."